“It may be said that round the material contained in this volume the major portion of his later work revolves” (ed. note, first edition). Jung spent the last third of his life studying and writing about alchemy. Volume 12 of his Collected Works, Psychology and Alchemy, is one of his most influential works. This book serves as C.G. Jung’s introduction of alchemy to his readers and illustrates that, from the beginning, alchemy had a dual nature: chemical work on one hand and a psychological process on the other. This course will cover Part I, “Introduction to the Religious and Psychological Problems of Alchemy,” and Part III, “Religious Ideas in Alchemy,” chapters 1-4. Part I is a study of the relationship between alchemy and the psychic process of individuation. Part III is a survey of the basic concepts of alchemy, including the alchemical process and its stages, the conceptions and symbols of the goal, the nature of the prima materia and the hidden treasure within this dark matter. Additionally, the work of redemption is viewed from the perspectives of both the Christian Church and that of alchemy; the symbolism and language of the Mass is discussed. The format of this course is class discussion based on the readings. For the first class, please read Part 1, “Introduction to the Religious and Psychological Problems of Alchemy,” (pp. 1-37). 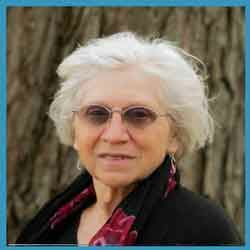 Cathryn Polonchak is a certified Jungian Analyst and a Licensed Clinical Social Worker in the state of West Virginia. She has a private practice in the Shepherdstown and the Charles Town/Harpers Ferry areas of West Virginia. In addition to her membership in JAWA, Cathryn is a member of the Philadelphia Association of Jungian Analysts (PAJA), the Inter-Regional Society of Jungian Analysts (IRSJA), the International Association of Analytical Psychology (IAAP), and the National Association of social Workers (NASW). She was the past Director of Seminar for PAJA. She is interested in the interface between body and mind, particularly at the psyche-soma level of trauma.